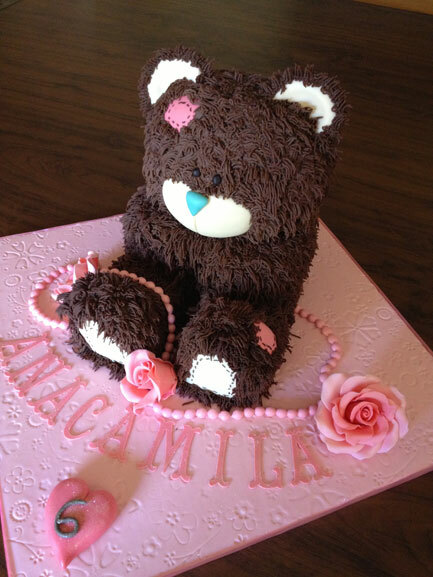 What can be better to thrill a young heart than with a life size, edible teddy bear cake. Cuddly, lovely and delicsious. All decorations are edible. Give someone a sweet bear hug!